The ATP Science Alpha Mars + Cort RX Stack is a perfect combination of ATP Science products designed to maintain a healthy hormone profile. With Alpha Mars working to control estrogen dominance and maintain androgen levels in the body, Cort RX finishes the stack off by supporting your immune system and rebalancing cortisol levels. This stack is perfect for any men looking for hormone support, lean muscle building and fat loss. Alpha Mars by ATP Science has been designed for males to naturally enhance levels of testosterone to help build lean muscle mass. Currently being able to maintain testosterone levels high enough for long enough to produce a significant anabolic effect can be quite hard. Therefore, Alpha Mars uses natural based ingredients to help increase normal levels of testosterone in the body to help prevent muscle loss. 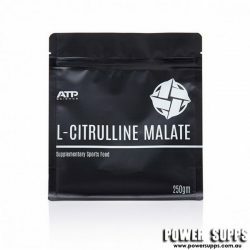 ATP Science Cort RX is an adrenal cortex support supplement which helps the body adapt efficiently to external stress, as well as help reduce the severity of internal stressors we experience daily such as: emotional stress, insomnia, pain, fatigue and exercise; all of which can cause a barrier to you achieving weight loss! – Anti-catabolic by reducing the damaging effects of cortisol in response to stress, training and stimulants. Alpha Mars – 2 caps in the morning with breakfast and 2 caps in the evening with dinner. Cort RX – 1 cap with each meal throughout the day OR 2-3 caps with dinner/before bed to improve sleep.